The Original Garage Door Repair Co. Welcome to our site dedicated to garage door repairs and electric conversions.Call your local number below and only friendly trained garage door repair engineers will deal with your garage door problems..
Old, New ,Single , Double, We Repair Them All! Jeff & Neil provide a first class repair service. Wonderfull! Miss Owen. Cheadle. NO CALL OUT CHARGE! Competitive prices on all garage door repairs and electric conversions. The UK's Most Common Door Problem! Watch how we fix it! At GE Garage Door Repairs we try hard to repair your door rather than try to sell you a new one. If you have been told to replace your broken garage door, call us first. 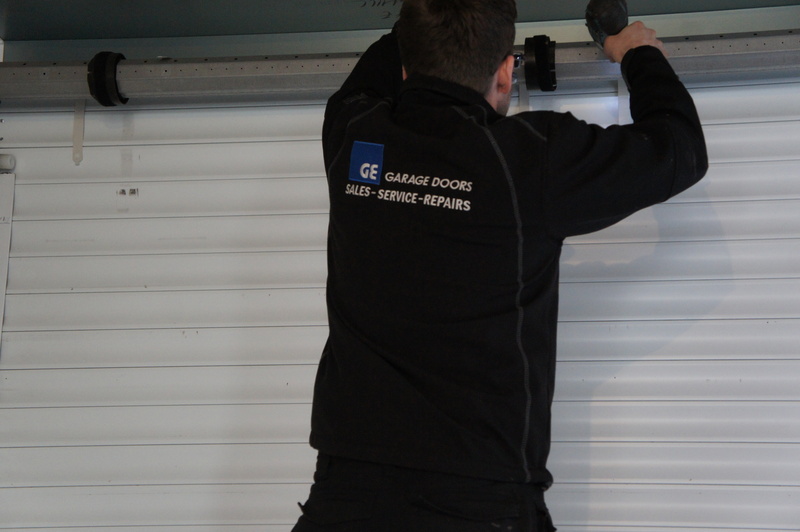 GE Garage door repairs also offer automatic conversions to your existing garage doors in Stockport, Manchester and Cheshire.